A British classic, Treacle Tart is full of luscious caramel flavor all wrapped up in a lovely shortbread crust. Treacle is the “secret” to whipping up this easy tart anytime your sweet tooth is calling! But what is treacle? Read on to find out!! When it comes to British desserts – I have some favorites –Bourbon Sticky Toffee Pudding, Sponge Cake with Limoncello Cream and Strawberries… and Treacle Tart. 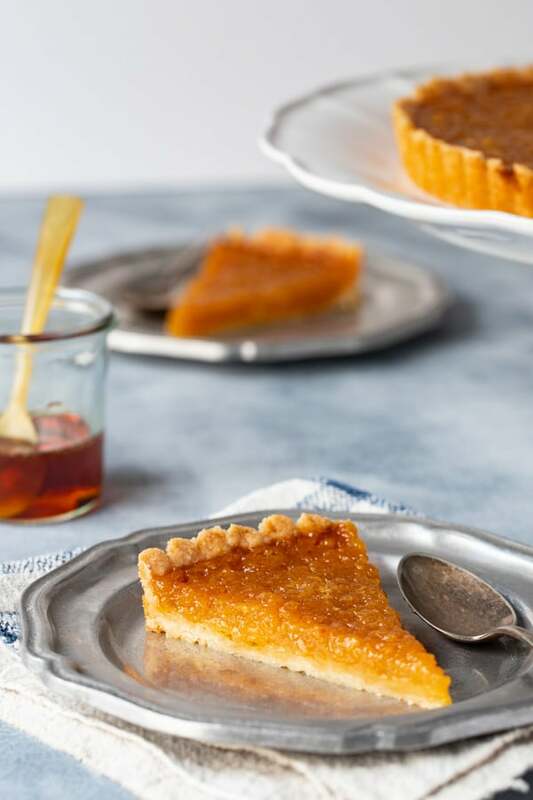 Rumored to be Harry Potter’s favorite dessert, Treacle Tart has is one of those simple, homey desserts. A sticky, caramel sweet filling encased in a lovely no roll shortbread crust. It’s the kind of dessert you make when you’re craving something really simple and don’t want to run to the store for ingredients! Speaking of ingredients, the star of this tart is treacle. Treacle is an uncrystallized syrup and is created during sugar refining.There are two types of treacle – golden syrup, and it’s darker cousin, black treacle or molasses. The most well know golden syrup is made by Lyle’s. Golden syrup is used to top pancakes, as a sweetener in cakes and cookies – like these caramel slice bars, and makes a great sweetener for cocktails! What is Treacle Tart from Harry Potter? A tart that typically features a shortbread type crust and filled with a mixture of treacle, eggs, breadcrumbs and lemon juice. 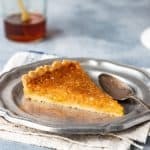 When was treacle tart invented? 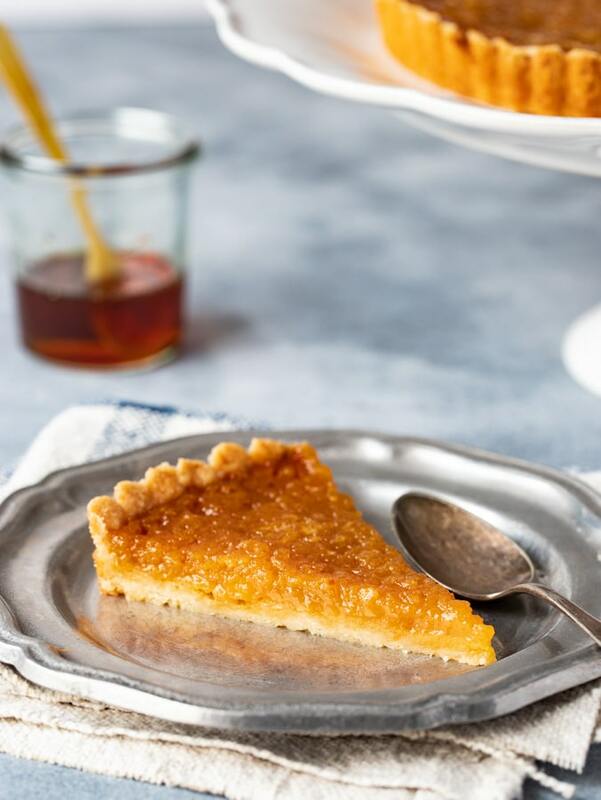 Treacle wasn’t invented until the 1880’s so treacle tart is a relatively “new” dessert. The tart is based on a much older recipe! What is golden syrup in America? In the U.S. we don’t have a substitute for treacle, a.k.a golden syrup. Treacle, aka golden syrup is the key to Treacle Tart! In the U.K. you can find Lyle’s Golden Syrup in almost any grocery store. Here in the U.S., it’s a little trickier to find. Some larger grocery stores carry it. I’ve also found it at World Market and you can order it from Amazon. Dump the dough into a tart pan with a removable bottom. 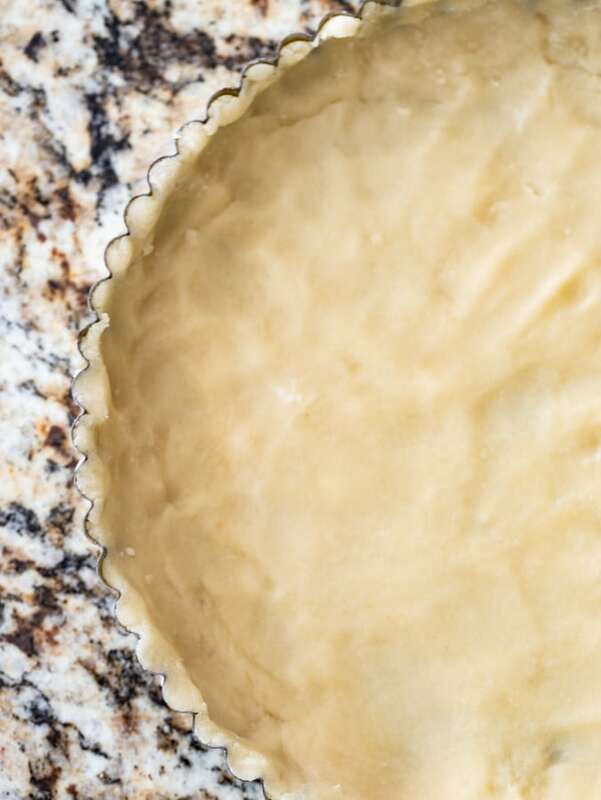 Spread the dough out and press into the tart pan with your fingers until the bottom and sides of the tart pan are lined with the dough. While the dough is chilling, make the filling. Warm the syrup by standing the bottle in a bowl of warm water. Measure the breadcrumbs into a medium-sized bowl and drizzle the warm syrup over them. Stir gently. Combine the eggs, lemon juice and zest and cream in another bowl and whisk to combine. 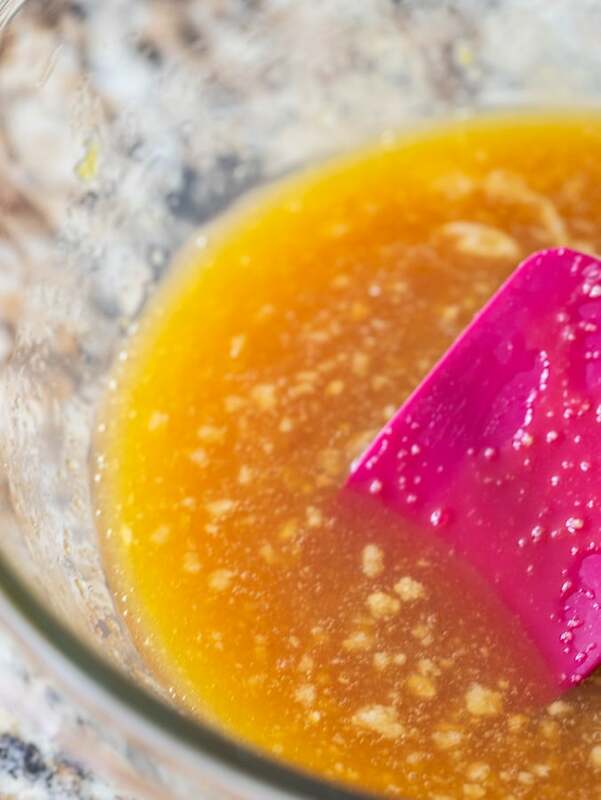 Fold the egg mixture to the syrup and breadcrumbs and stir until just combined. Pour the filling into the chilled tart crust and bake for 20 – 30 minutes until the filling is set. Let the tart cool and then dive in!! Love this recipe? I would be so happy if you rated it! 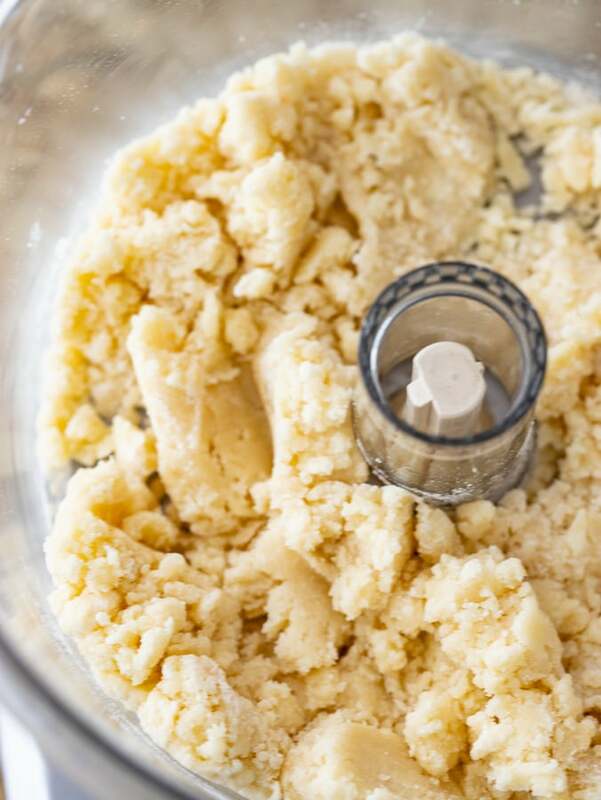 Add the flour, butter, sugar and salt to the bowl of a food processor and process until the mixture resembles wet sand, about 3 minutes. Test the mixture with your fingers, when pressed it should hold together. If not, add 1 Tablespoon of water and mix again for 15 seconds. Dump the dough into a 10 inch removable bottom tart pan and press into the sides and along the bottom. Pre heat the oven to 350 degrees. Bake the tart shell for 15 minutes or until it is light golden brown. Pre heat the oven to 375 degrees. Place the treacle bottle into a bowl of hot water to warm. Add the breadcrumbs to a bowl and drizzle the treacle over. Stir briefly to combine. In another bowl, add the eggs, cream, lemon juice, zest and salt. Whisk to combine. Add the egg mixture to the breadcrumb and treacle mixture. Mix until just combined. Pour into the prepared tart shell. Bake for 20 – 30 minutes or until the filling is set. Remove the tart from the oven and let cool. Slice and serve! Lyle’s golden syrup can be found in some larger grocery stores. Cost Plus World Market also carries it as does Amazon! If you can’t find Lyle’s golden syrup, you could substitute honey. Karo syrup doesn’t have enough flavor to work in this recipe. This tart is lovely on it’s own, but you could also serve it with a bit of whipped cream or vanilla ice cream. You can store the tart, covered in the refrigerator for up to two days. Let come to room temperature before serving. This tart sounds good. Could you use Karo syrup? Hi Deborah! I wouldn’t recommend Karo simply because it lacks the flavor of the golden syrup. Honey is closer to golden syrup in flavor but it doesn’t have the caramel flavor that golden syrup does. If you don’t want to order it from Amazon, I did find this tutorial on how to make it from regular sugar. I haven’t tried it myself, but it should work! 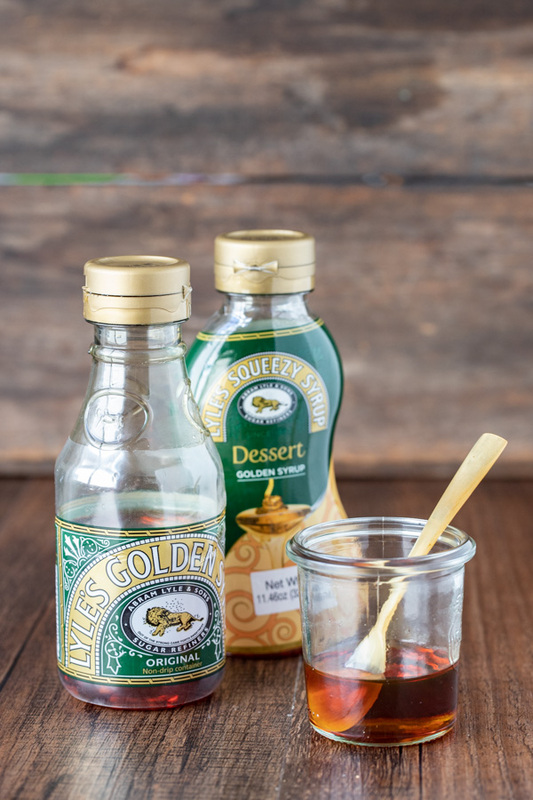 http://www.internationaldessertsblog.com/make-golden-syrup/ Let me know how it turns out!!! I’ve never heard of this. Must have missed it while watching Harry Potter. 🙂 I love that caramel-y flavor so I’m sure to love this! Hi Ellen! It is two!! Clearly I need a proof reader! Happy Thanksgiving!! Can I use 1/2 & 1/2 in place of heavy cream? Half and half should work fine!!! Thank you for asking. Now, off to add that note to the recipe! Can I use a 9” baking pan? Will it change the baking time? Definitely and to be honest, the dough for the crust won’t fill the pan. So what I would recommend is to increase the recipe (for both the crust and filling) by 25%. By doing this, the bake time should be the same!